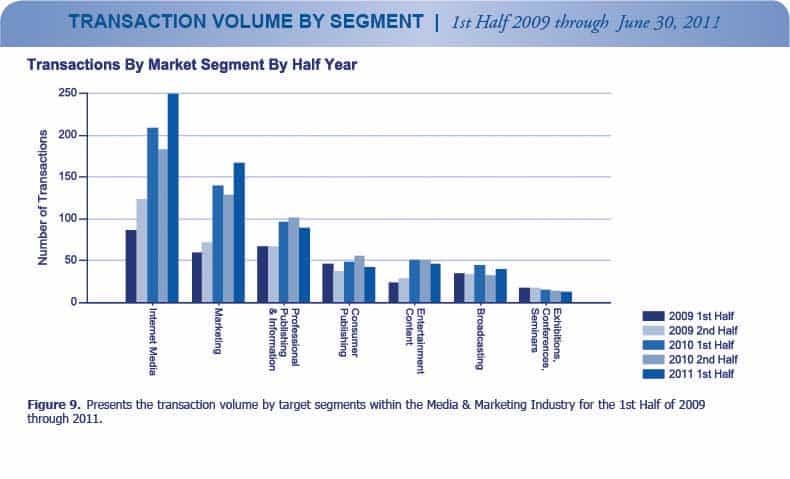 1st Half 2011 Media & Marketing Industry Trends - Berkery, Noyes & Co., LLC. The largest transaction in 1st Half 2011 was West Australian Newspapers Limited’s acquisition of Seven Media Group from an investor group including Kolhberg Kravis Roberts, for $4.1 billion. Publicis Groupe SA was the most active acquirer in 1st Half 2011, with 12 purchases: Genedigi Group, Rosetta Marketing Group, LLC, Dreams Communication, Tailor Made, GP7, Watermelon Healthcare Communications, Airlock, Kitcatt Nohr Alexander Shaw Ltd, Interactive Communications Ltd, Holler Digital Ltd., Chemistry Communications Group plc and Klapp Media AS. There were 75 financially sponsored transactions with a projected aggregate value of $7.87 billion, representing 12 percent of the total volume and 25 percent of the total value, respectively. 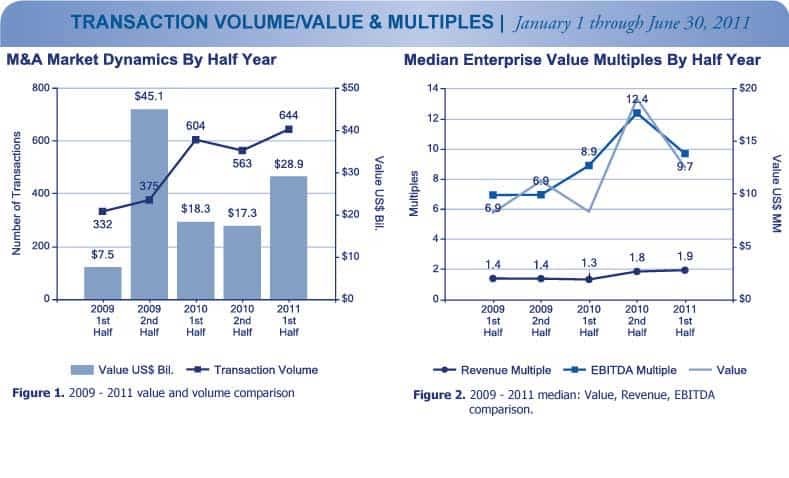 Total transaction volume in 1st Half 2011 increased by 14 percent over 2nd Half 2010, from 563 in 2nd Half 2010 to 644 this year. 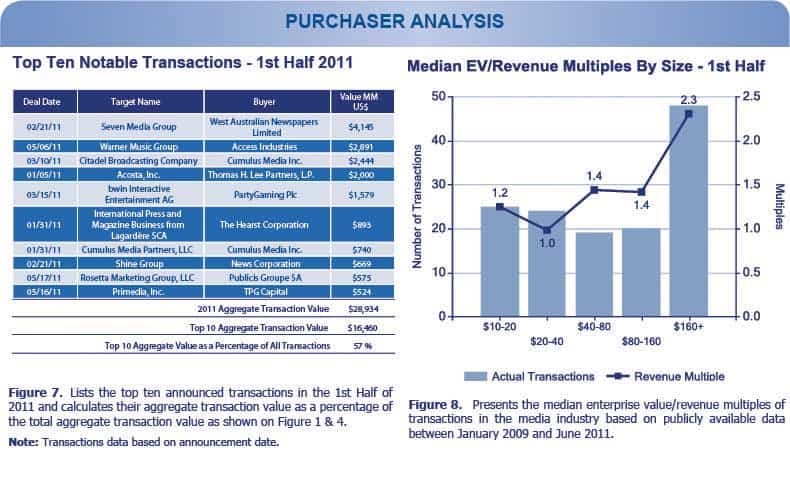 Total transaction value in 1st Half 2011 increased by 67 percent over 2nd Half 2010, from $17.3 billion in 2nd Half 2010 to $28.9 billion this year. 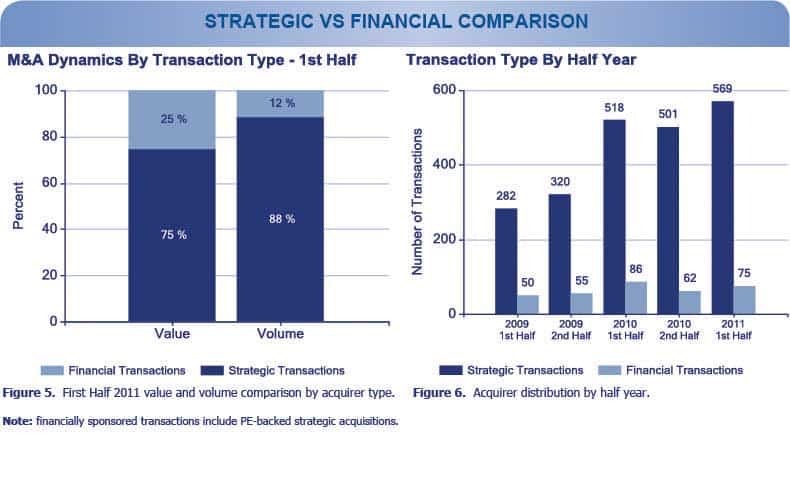 The segment with the largest increase in volume in 1st Half 2011 over 2nd Half 2010 was Internet Media with a 37 percent increase, from 182 to 250 transactions. 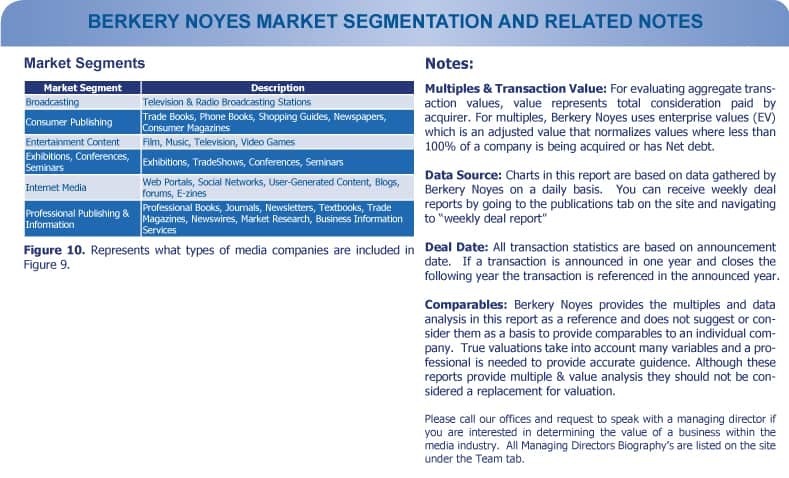 Berkery Noyes tracked 2518 transactions between 2009 and 1st Half 2011, of which 640 disclosed financial terms, and calculated the aggregate transaction value to be $95.8 billion. 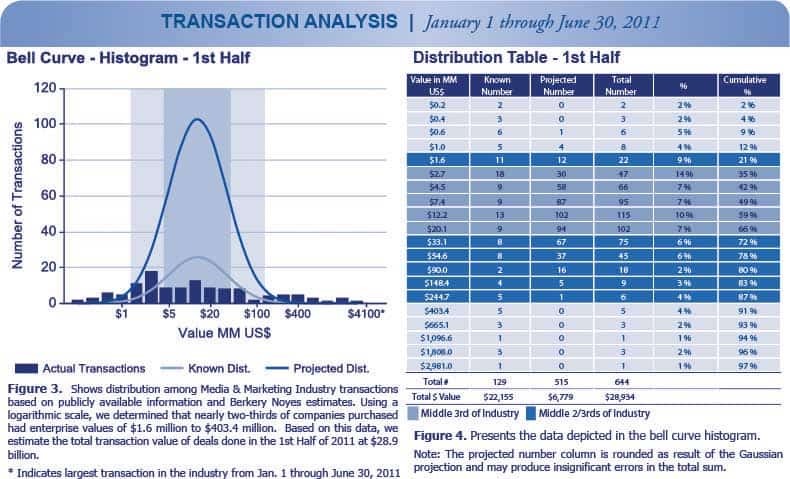 Based on known transaction values, we project the value of the 1878 undisclosed transactions to be $20.3 billion, totalling $116.1 billion worth of transactions tracked over the past two and a half years.